From Burger King’s boo-boo to Funny or Die turning 10, here are the biggest news stories making headlines in advertising this week. Welcome to volume 2 of our new series: This Week in News. Burger King’s latest ad is a 15-second spot that’s backfired rather spectacularly. 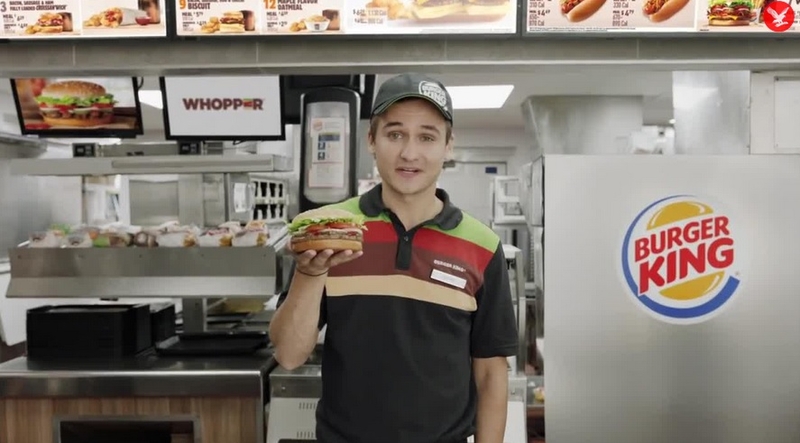 “There’s not enough time to explain all the fresh ingredients in the Whopper sandwich,” the actor says into the camera. He then asks Google to help out, referencing the new Google assistant which can be activated via voice prompts. But fans were quick to get on to Wikipedia and answer the question themselves, altering Burger King’s page and adding phrases like “cyanide” in answer to the advert’s question. Sometimes, leaving your message open ended is a bad idea indeed. Funny or Die is 10 years old this week and the show has celebrated in style: by picking out its best video from each of those 10 years. 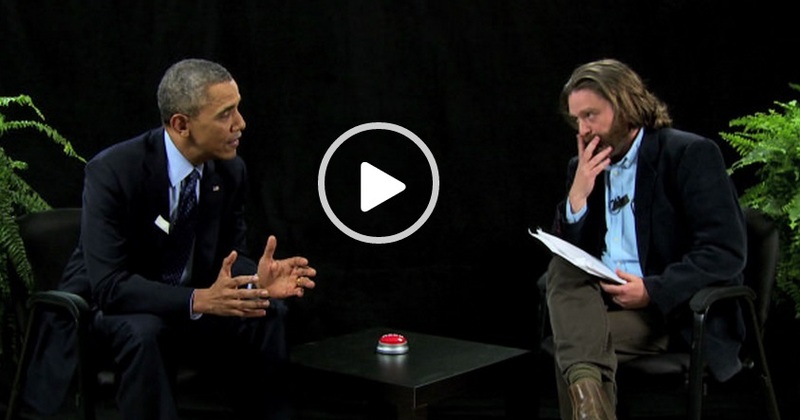 Expect lashings of Will Ferrell and even Obama chatting to Zach Galafianakis between… two ferns. The Drum is reporting that Vice News’ Josh Tyrangiel believes the reign of the TV news anchor is coming to an end. In an American context, news anchors are losing credibility and the industry has been beset by ‘fake news’. Vice believes they have the answer, and have launched Vice News Tonight, which eschews established faces for young up and comers who narrate nightly news segments. Released by HBO, Vice’s 30-minute nightly show uses animation, graphics and selective film footage with a narrator talking over the imagery. Vice believes news anchors are no longer the voice of credibility, especially among younger audiences, and have used this position to neatly advertise their own product too. 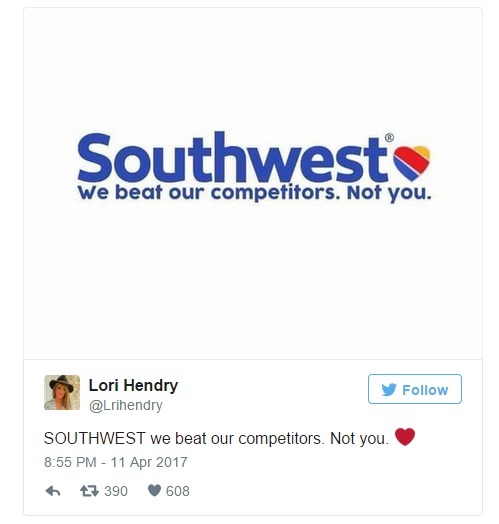 They say that all publicity is good publicity, but we’re not sure if Pepsi and United will agree. 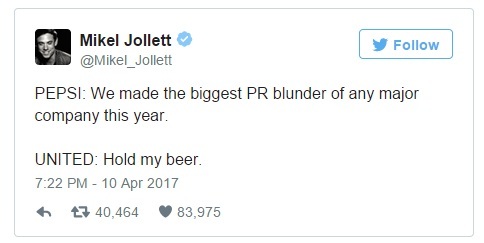 The soda company has been in the news all week for its Kendall Jenner-led ad, while United has been receiving a barrage of negative press after footage emerged of security personnel dragging a passenger from an aircraft by his feet. Predictably, brands and social media commentators have jumped onboard. 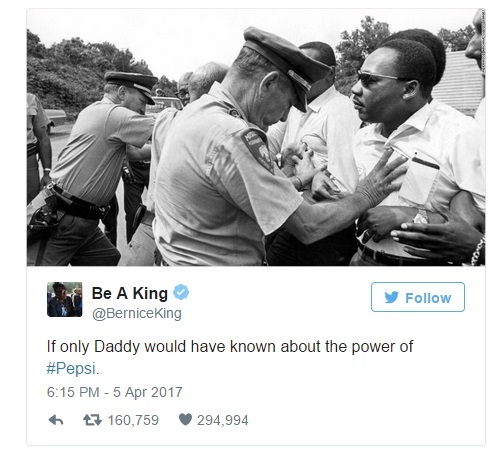 What are people on the interwebs saying? Some great tweets below.